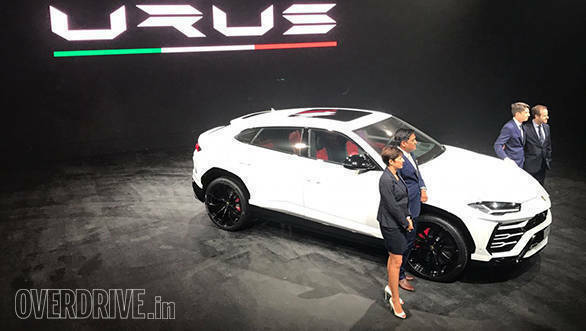 The all-new Lamborghini Urus has been launched in India at Rs 3 crore, ex-showroom. A total of 25 units of the Lamborghini Urus SUV have been collectively allotted for the three dealerships in India. A select few have already made a booking during the unveiling of the SUV for an undisclosed token amount. Lamborghini dealerships often charge ten per cent of the total value of the car as the down payment of the car. Interestingly, Lamborghini has launched the Urus in India before China, showing the importance of the country in the company's global plans. We are already aware that Lamborghini will making 1,000 units of the Urus SUV globally and out of that 25 units have been allotted to India. Powering the 2018 Lamborghini SUV is a specially-developed 4.0 litre twin-turbo V8 that has no resemblance with the one offered in the Bentley Continental GT and the Flying Spur. This motor, equipped with variable valve timing and cylinder deactivation, makes 650PS at 6,000rpm and generates 850Nm of torque at 2,250 rpm. All of that power is sent to the four wheels via an 8-speed automatic transmission. Lamborghini claims that the Urus can reach 100kmph in 3.6seconds and will do a top whack of 305 kmph. 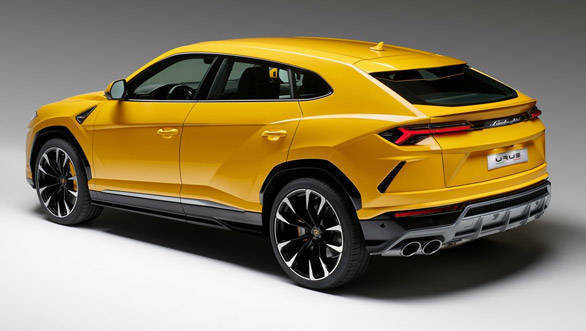 The Lamborghini Urus also offers drive modes that can be selected through the Tamburo (drum) driving mode selector listed under the ANIMA (Adaptive Network Intelligence Management) system.